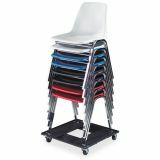 Heavy-duty steel dolly easily supports up to seven Contour Stacking Chairs (sold separately). 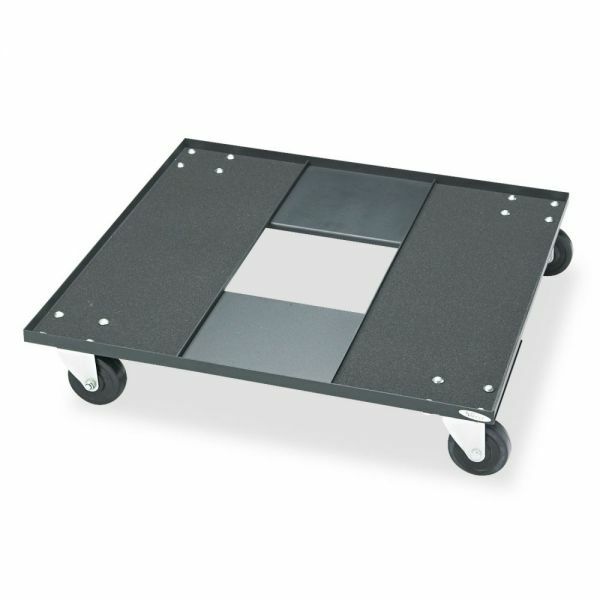 3" casters for easy mobility. Safco Stacking Chair Cart, 23-1/8w x 23-1/8d x 4-1/2h, Black - Heavy-duty chair cart easily supports up to 15 Safco stack chairs and can be used with most other stacking chairs. Made of 14 gauge steel with durable powder-coat finish. Chair cart holds up to 300 lb. and rolls on four 3 casters for easy mobility and chair storage."